British television broadcasting started in 1936, and now has a collection of free and subscription services over a variety of distribution media, through which there are over 480 channels for consumers as well as on-demand content. There are six main channel owners who are responsible for most viewing. There are 27,000 hours of domestic content produced a year at a cost of £2.6 billion. Free and subscription providers are available, with differences in the number of channels, capabilities such as the programme guide (EPG), video on demand (VOD), high-definition (HD), interactive television via the red button, and coverage across the UK. The BBC is the world’s oldest and biggest broadcaster, and is the country’s first and largest public service broadcaster. 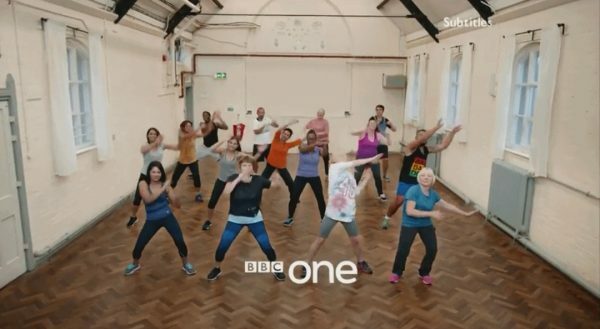 The BBC is funded by a government grant; it does not carry advertising. The grant is financed by the payment of a television licence fee that all households with a television must pay. However, the funds do not go directly to the BBC but to the Treasury instead, via a government body known as TV Licensing. The government has no legal duty to hand all or any of this revenue to the BBC but traditionally has done. The BBC first began a television service, initially serving London only, in 1936. BBC Television was closed during World War II but reopened in 1946. The second station, BBC Two, was launched in 1964. As well as the two main services, the BBC also offers BBC Four, BBC News, BBC Parliament, CBBC Channel, CBeebies, BBC One HD, BBC Two HD, BBC Four HD, BBC News HD, CBBC HD, CBeebies HD, BBC One Scotland HD, BBC One Wales HD, BBC One Northern Ireland, BBC Alba and BBC Red Button. ITV is the major commercial public service TV network in the United Kingdom. Launched in 1955 under the auspices of the Independent Television Authority (ITA) to provide competition to the BBC, it is also the oldest commercial network in the UK. Since the passing of the Broadcasting Act 1990, its legal name has been Channel 3, the number 3 having no real meaning other than to distinguish it from BBC One, BBC Two and Channel 4. In part, the number 3 was assigned as televisions would usually be tuned so that the regional ITV station would be on the third button, the other stations being allocated to that of the number their name contained. ITV is to be distinguished from ITV plc., the company that resulted from the merger of Granada plc and Carlton Communications in 2004 and which is the parent of ITV Broadcasting Limited to whom all of the Channel 3 broadcasting licences in England, Wales, Southern Scotland and the Isle of Man were transferred in November 2008. Similarly ITV is the brand used by ITV plc. for the Channel 3 service in these areas. 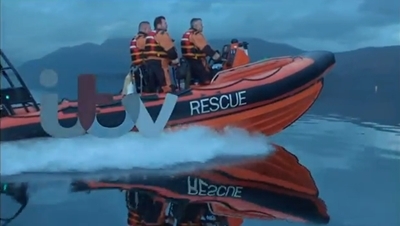 Of the companies external to ITV plc., STV and UTV use their own brands in their own respective areas (Northern and Central Scotland and Northern Ireland). UTV and STV remain independent companies. ITV operates a number of regional variations of ITV, along with ITV HD, ITV2, ITV2 HD, ITV3, ITV3 HD, ITV4, ITV4 HD and CITV. Channel 4 is a public-service television broadcaster which began broadcasting on 2 November 1982. Although largely commercially self-funded, it is ultimately publicly owned; originally a subsidiary of the Independent Broadcasting Authority (IBA), the station is now owned and operated by the Channel Four Television Corporation, a public body established in 1990, coming into operation in 1993. With the conversion of the Wenvoe transmitter in Wales to digital on 31 March 2010, Channel 4 became an entirely UK-wide TV channel for the first time. The channel was established to provide a fourth television service to the United Kingdom in addition to the television licence-funded BBC’s two services and the single commercial broadcasting network, ITV. Channel 4 is a “publisher-broadcaster”, meaning that it commissions or “buys” all of its programming from companies independent of itself, and was the first broadcaster in the United Kingdom to do so on any significant scale. This had the consequence of starting an industry of production companies that did not have to rely on owning an ITV licence in order to see their programme’s air, though since Channel 4, external commissioning has become regular practice on the numerous stations that have launched since, as well as on the BBC and in ITV (where a quota of 25% minimum of total output has been imposed since the 1990 Broadcasting Act came into force). On 10 December 2007, Channel 4 launched a high definition television simulcast of Channel 4 on Sky+ HD, after British Sky Broadcasting agreed to contribute toward the channel’s satellite distribution costs. March 2010 Channel 4 HD appeared on Freeview channel 52 with a place holding caption, ahead of a commercial launch on 30 March 2010, coinciding with the commercial launch of Freeview HD. On 19 April 2011, Channel 4 HD was added to Freesat on channel 126. As a consequence, the channel moved from being free-to-view to free-to-air on satellite during March 2011. Other channels from Channel 4 are E4, E4 HD, 4seven, More4, Film4, Channel 4+1, and 4Music. Channel 5 is a television network that broadcasts in the United Kingdom. Launched in 1997, it was the fifth and final national terrestrial analogue network to launch. The station was branded as Five between 2002 and 2010. After his purchase of the station from RTL on 23 July 2010, Richard Desmond announced plans to invest more money in programming and return to the name Channel 5 with immediate effect, prior to an official re launch on 14 February 2011 which was also applied to 5 News. The new on-screen look for Channel 5 went live on 14 February 2011 with new idents, on-screen DOG and website address. The re-launch has also seen investment in a range of new programming with the debut of the nightly entertainment show, OK! TV. Audience figures for the re launch were boosted with increased viewing figures for the main 5 News bulletins and improved figures for OK! TV in the 18:30 slot. The channel is a general entertainment channel, with internally commissioned shows such as The Gadget Show and Fifth Gear appearing alongside numerous international programmes such as CSI: Crime Scene Investigation, Neighbours and Home and Away. On 1 May 2014, Desmond agreed to sell Channel 5 to Viacom for £450 million (US$759 million). The deal was approved on 10 September 2014 and at the same time it was announced that it was to co-commission programmes with its pay channels such as Nickelodeon and MTV. The channels operate under the Viacom International Media Networks Europe subsidiary. 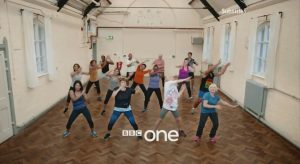 The channel has historically had the lowest audience of Britain’s five terrestrial television channels, usually lagging well behind its main four terrestrial rivals with a viewing share of around 5%. During live football coverage, the channel often enjoys significantly larger audiences as high as 12%. 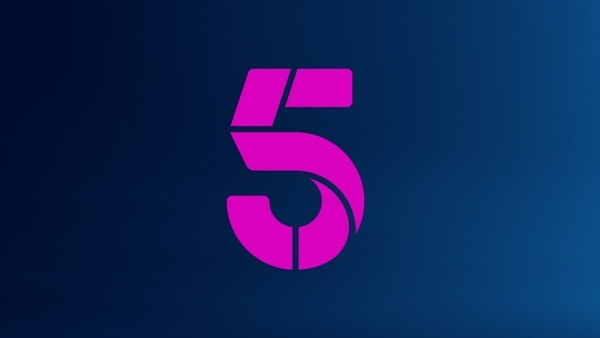 Channel 5 +1 launched on Freesat, Freeview and Sky on 6 December 2011. Channel 5 HD is a high-definition simulcast of Channel 5. The channel launched on Sky channel 171 and Virgin Media channel 150 on 13 July 2010. 5STAR is a television channel from Channel 5, owned by Viacom. The channel is available on digital television via Freesat, Freeview, Sky, TalkTalk TV and Virgin Media. 5USA is a television channel from Channel 5, owned by Northern & Shell. 5USA concentrates on showing imported movies and programmes from the United States. The channel is available on digital television via Freesat, Freeview, Sky, TalkTalk TV and Virgin Media. British Sky Broadcasting (BSkyB) is a company that operates Sky Digital, a subscription television service in the UK and Ireland. It produces TV content, and owns several TV channels. It is the UK’s largest pay TV provider. More than a third of the equity is owned by News Corporation, an American company chaired by Rupert Murdoch; News Corporation’s precise shareholding fluctuates due to share options and buy backs and was 39.1% at May 2009. As of 30 September 2008 it had 9,067,000 direct to home customers in the UK and Ireland. As of February 2007, it also had 3,294,000 indirect customers through the cable operator Virgin Media & through IPTV operator TalkTalk TV in the UK, and a further 604,000 indirect cable customers on UPC Ireland in Ireland. It is listed on the London Stock Exchange and is a constituent of the FTSE 100 Index. Sky utilizes the VideoGuard pay-TV scrambling system owned by NDS, a News Corporation subsidiary. There are tight controls over use of VideoGuard decoders; they are not available as stand-alone DVB CAMs (Conditional Access Modules). BSkyB has design authority over all digital satellite receivers capable of receiving their service. The receivers, though designed and built by different manufacturers, must conform to the same user interface look-and-feel as all the others. This extends to the Personal video recorder (PVR) offering (branded Sky+). BSkyB initially charged additional subscription fees for using a Sky+ PVR with their service; waiving the charge for subscribers whose package included two or more premium channels. This changed as from 1 July 2007, and now customers that have Sky+ and subscribe to any Sky subscription package get Sky+ included at no extra charge. Customers that don’t subscribe to Sky’s channels can still pay a monthly fee to enable Sky+ functions. In January 2010 Sky discontinued the Sky+ Box, limited the standard Sky Box to Multiroom upgrade only and started to issue the Sky+HD Box as standard.